Every website promoter would agree that doing SEO without SEO tool is quite difficult. Good SEO tool will reduce your workload, time and lets you easily push your website to Google’s top. There are lots of free tools designed to serve every purpose to optimize a website . They can be utilized at each phase of SEO process, from keyword research to the analysis of your SEO campaign results. Here is the list of the most popular free and paid SEO tool. Nowadays you can find lots of free and paid SEO tools available on the internet. And this overview of the most popular free SEO like google adword, seoptimer, semrush etc, tools is going to help you pick up the ones that can make your website popularity soar. Google Adword keyword planner: Keywords are the first stone of starting a new SEO campaign. Hence keywords unearthing and faceting is the initial step on the way to Google&#39;s top. Of course you may put on your thinking cap and make up the list of keywords on your own. But every people who search on the internet not have mindset like you. They use different queries on the web to search. 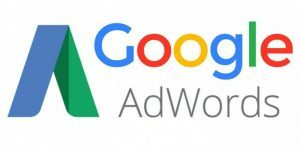 Google AdWords Keyword Tool helps you find out which keywords you should target, shows the competition for keywords, lets you see estimated traffic volumes and provides the list of suggestions on popular keywords. Google AdWords Keyword Tool has a users-friendly interface and moreover it&#39;s totally free. You can use some other paid alternative tools like Wordtracker or Keyword Discovery that may be effective as well, but Google AdWords Keyword Tool is the ultimate leader among free keyword research tools. HTML sitemaps that improve website navigation for humans and make your site visitors-friendly. Majestic SEO tool: Majestic seo is a paid tool. It allow user to track information about any domain, information about their website and information about their competitors. With the help of this tool user can access sub domains, Page, Links, Referring domains, Images, No follow links, and Redirects. Users can obtain detailed report about unique links and their anchor text. If you register Majestic SEO than you can use it to search backlinks for your website for free. Majestic SEO also up to date you with journals and latest articles on link building and it also provide you daily journal of inbound links. Semrush: Semrush tool is capable of doing all tasks that required for Search engine optimization . Semrush is a best tool for Site audit. With this tool you can find out overall site technical errors, individual page and its content, page loading speed and user experience. As a best digital marketing company in india we use all tool to provide better service to our valuable client.